Its widely recognised that there are limited recreational activities and tourism options available for people with disabilities and special needs. In the past many people with disabilities could only dream of what it must be like to feel the thrill and experience the sense of freedom that comes with a motorcycle ride. At Live To Ride Motorcycle Tours we’re doing something about this and with your help we can make these dreams come true. Who are we and why us. 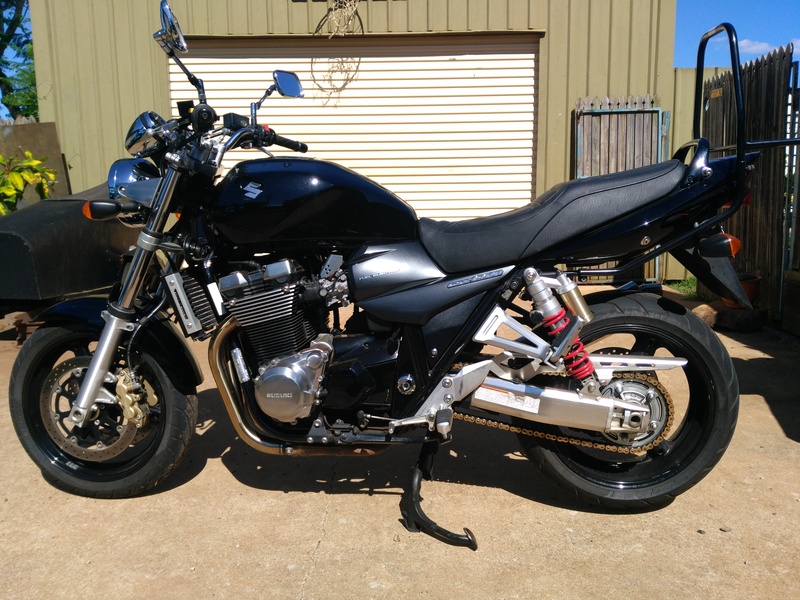 I’m mick Jackson, I’ve been a passionate motorcycle riding enthusiast for over 37 years and I love sharing the thrill of the ride with other people. I have lived with a permanent disability for over 20 years. This has given me an intimate understanding of the physical limitations, emotional trauma and the social isolation that disability can impose on a persons life. I feel an obligation to use the knowledge I've learned through my experience to make a difference and improve the lives of others through what I like to call "Motorcycle Therapy". While operating a business trial of a motorcycle tour service some years ago we had the privilege of conducting passenger rides at Disability Action Week, Cancer Council and Make a Wish Foundation events where we saw how engaging and personally rewarding the ride experience was for our disabled passengers. It was really empowering & uplifting & a huge thrill for them & their families & friends. The only regret was that we had to leave people behind because it wasn’t safe enough for them to go for a ride with their health conditions. It was a penny drop moment when we realised the accepted regulations and vehicles were not up to the task of delivering a safe ride experience for many passengers. It was at that point we decided to fold that business. Since then we have invested a considerable amount of money and have spent over three and a half years of our time researching and developing the new improved Live To Ride Motorcycle Tours service. Once operating, our innovative new service will enable and empower people that have been excluded from experiencing a motorbike ride because of their condition. Our unique service will be a game changer and open the door for so many people that have been excluded in the past. We will provide new opportunities for people that are socially isolated because of a physical disability, intellectual impairment, chronic illness and acquired brain injury along with their family, friends and carers and support organisations. We have developed new safer ride procedures and protocols, improved safety standards and created a greatly expanded rider training program that teaches our riders to understand and cater for a person’s individual special needs. By combining our new standards with our specially designed disability friendly and wheelchair accessible sidecar we will be able to provide people with special needs along with their family, friends and carers the capacity, ability and opportunity to be included and participate in motorcycle passenger ride activities and tourism in safety and with dignity. It has been a mammoth undertaking and there is currently no service of this type or calibre in the country. Live To Ride Motorcycle Tours is a private social enterprise enterprise that will provide significant social benefits to the community. We will be conducting ride activities for individuals, groups, disability support organisations and service providers, not for profit and charity organisations and community groups. We will be a fully insured Government Authorised Public Passenger Service just like a bus company but with bikes, however, we will be working to our exclusive service and safety standards and operating procedures that far exceed Government regulatory requirements. We feel this is essential to safely cater for vulnerable people in our community. 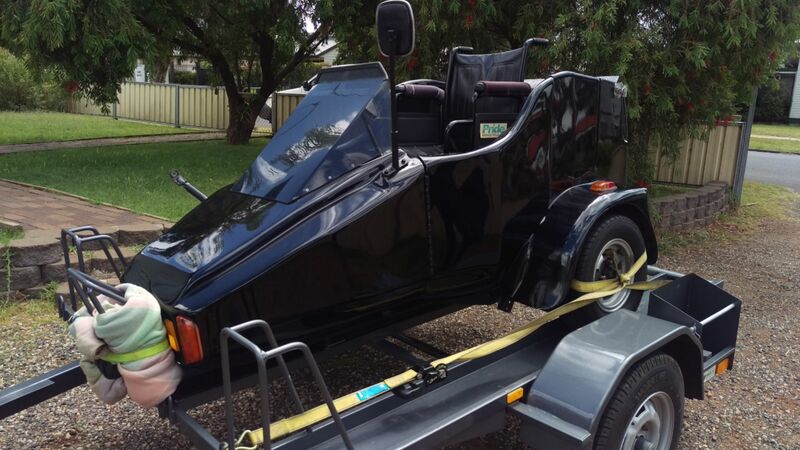 We have the motorcycle and have recently purchased our first, very rare, very special, disability friendly and wheelchair accessible sidecar. 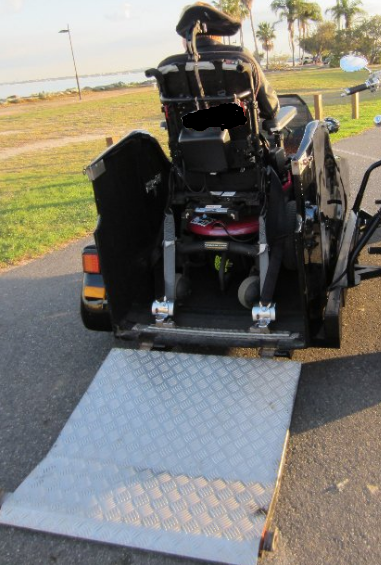 This special sidecar will allow people that have special needs or use a wheelchair to have unassisted access to the vehicle with safety and dignity. We need to raise just $10,000 to modify the bike, have the sidecar professionally fitted, cover on road costs, purchase essential safety equipment and cover regulatory expenses to be able to begin our ride operations properly. We've put everything we have into this project and are at the point now where we really need your help to finally make the dream a reality. If you believe in what we are working to achieve and can support us in our quest, please help us by pledging a contribution to our campaign, sharing our story and encouraging others to contribute so we can get on with the job of sharing the thrill of the ride, putting smiles on faces and providing new opportunities for people that deserve to live their best life. Come on, join us in being champions for change. Important Note:- This is an all or nothing funding platform. By pledging a contribution to our campaign you will be authorising a one off direct debit from your bank account. The pledge will only be deducted from your bank account after the campaign end date and only if we reach our stated target amount. If we do not reach our target we will not receive any funds, the transaction will not go ahead and no funds will be withdrawn from your account and your debit authority and bank details will be deleted from the Start Some Good database by the platforms administrators. $4,500 will be used to make necessary modifications to the bike, to have the sidecar professionally fitted to the bike and to cover certification and on road costs. The other $4,500 is needed to cover regulatory compliance expenses, insurance and to purchase essential safety equipment for our passengers. Reaching this target enables us to start disability friendly ride operations. These funds will be used to help pay for some of our rider training courses and to purchase intercom systems to enable us to communicate with our passengers. Reaching this target will enable us to provide a safer service for our passengers sooner. Contributions of $20 - $49. We will thank you for your support by sending you a Certificate of Appreciation for you generous contribution. We will acknowledge you as a Champion for Change by adding your name to The Champions of Change supporters page on the Live To Ride Motorcycle Tours Website where you will be recognised for taking positive action for change and to improve and expand the life experience of people that have been excluded in the past. Contributions of $50 - $250 or more. We are asking for a hand up, not a hand out. Rather than wasting your contribution on rewards like T-Shirts, caps and mugs we would rather work it off and offer you the option of choosing credit towards a ride experience. Supporters that contribute $50 - $250 or more can choose to redeem 70% of their contribution as credit towards one of our Live To Ride Motorcycle Tours ride activities in Toowoomba when we begin ride our operations. This will come in the form of a Gift Certificate that you can use yourself, give to a friend or loved one. We will have a menu of novel ride activities for you to select from. We will send you a Certificate of Appreciation for you generous contribution. Live To Ride Motorcycle Tours will provide corporate sponsors with promotion and positive exposure for a period of 12 months from our official launch date. (Terms and Conditions apply). 1. Promotion on the Live To Ride Motorcycle Tours Website. The “Live To Ride Motorcycle Tours”, website home page, will have an active window displaying a slideshow of our corporate supporters. “Live To Ride Motorcycle Tours”, Corporate Supporters Page where your logo, slogan and a few lines of text about your company will be displayed with a link to your website. (Terms and Conditions apply). 2. Credit for 1 hour of Service &/or Products. Products:- Live To Ride Motorcycle Tours Gift Certificates for motorcycle ride activity packages that can be used as donations, gifts, prizes or staff incentives. 3. VIP Invitation to our Official Launch Event. We will be holding a multimedia launch event to celebrate the official launch of our innovative new service where we will be inviting the public, local dignitaries, representatives and clients of disability and community support organisations and charities and print and television news media. As a corporate sponsor your companies representative will be invited as a VIP guest to attend the official Live To Ride Motorcycle Tours, launch event . During the event, your company will be officially acknowledged, and thanked, for their support and assistance. Sponsors will also be invited have a stand at the event to promote their own organisation to the public. You can take pride, in the knowledge that your organisation has been instrumental in breaking down barriers and making it possible for people that have been excluded in the past, to finally be able to expand their horizons and feel the joy and that sense of freedom that a motorcycle ride can bring. Live To Ride Motorcycle Tours will provide corporate sponsors with promotion and positive exposure for a period of 12 months from our official launch date. 1. Your Logo displayed at Public Events. We’ve reserved space on our site signage to display your company logo alongside the “Live To Ride Motorcycle Tours” logo. The signage will be displayed on our control tent while we are conducting rides at public and on site events. 2. Promotion on the Live To Ride Motorcycle Tours Website. “Live To Ride Motorcycle Tours”, Corporate Supporters Page where your logo, slogan and a few lines of text about your company will be displayed with a link to your website. (T&C's apply). 3. Credit for 2.5 hours of Service &/or Products. 4. VIP Invitation to our Official Launch Event. As a major supporter, you can take pride, in the knowledge that your organisation has been instrumental in breaking down barriers and making it possible for people that have been excluded in the past, to finally be able to expand their horizons and feel the joy and that sense of freedom that a motorcycle ride can bring. Live To Ride Motorcycle Tours will provide corporate sponsors with promotion and positive exposure for our corporate supporters for a period of 12 months from our official launch date. “Live To Ride Motorcycle Tours”, Corporate Supporters Page where your logo, slogan and a few lines of text about your company will be displayed with a link to your website. 3. Credit for 5 hours of Service &/or Products. Your company representative will be invited as a VIP guest to attend the official Live To Ride Motorcycle Tours, launch event . 1. Your logo displayed on our Sidecar. of our special sidecar. (T&C's apply). 2. Your Logo displayed at Public Events. 3. Promotion on the Live To Ride Motorcycle Tours Website. 4. Credit for 10 hours of Service &/or Products. 5. VIP Invitation to our Official Launch Event.